Looks like Romeo Pellum is feeling like he got the shaft from Paul Wulff and company. Pellum, as you probably know, was suspended from the team for stealing electronics in February, and then was arrested in April for driving with a suspended license. Pellum has decided instead of sticking around and dealing with it, he’s going to leave. Or was he kicked off the team? It’s all a little foggy. I guess it doesn’t matter, whether he was booted or chose to leave, because either way he’s gone. “I felt like I was treated unfairly with that whole situation,” Pellum said. “I was suspended for the whole spring. If you read those charges that happened back in February, it’s pretty self-explanatory what we were suspended for.” Pellum said because he was treated unfairly and not given a second chance, he elected to depart both the team and the university to pursue other football opportunities. “(The coaches) are untrustworthy and I don’t want to be a part of the Wulff era,” he said. “I wouldn’t say all of the coaches, but a handful.” Pellum also said the team’s strict and unfair nature became evident after he witnessed the suspension of five players, four being reinstated, and three charged legally. Is he really being treated unfairly here? He was arrested twice in three months this spring. Wulff has a system in place where the player incidents are dealt with in a particular way, with discipline handed down from the players and staff. Either you play by the rules that everyone else has to follow, or you don’t, and you move on. Case closed. At least Jim Sterk, who happens to be Wulff’s boss, thinks that Wulff is doing just fine in the discipline department. But what’s odd is that Pellum calls the coaches untrustworthy. Yet, as the Evergreen story reports, Pellum claims he is leaving on good terms, and Wulff and Jody Sears both wrote letters of recommendation for Pellum….? Oh well. Good luck to Romeo, wherever he ends up. Pellum’s loss does hurt though. 65 tackles and a couple of picks last year, and a likely starter in the depleted secondary, he does leave some shoes to fill. 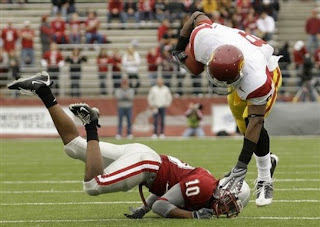 We like the Cal transfer, Brandon Jones, and Tyrone Justin at corner (as long as Justin stays out of trouble as well?). We’ll look at the secondary in the next week or so. Speaking of moving on, in completely unrelated, non-Cougness, Jessica Simpson was released by Tony “Dimples” Romo. And it sounds as though she is devastated. What’s cold is that Romo cut her loose the night before her 29th birthday! Even I can say that’s cold man, cold. Gisele figured it out and is doing what it takes to hang with Tom Brady. It’s a tough, competitive market for being with an NFL superstar QB. Maybe age 29 is the “cutoff” for Romo, and it was time to trade into something newer and sleeker? Meanwhile there’s probably 3 million females in the state of Texas who are still up popping champagne over Romo’s new-found free agency. Let the bidding begin! Finally, one last thing on Michael Jackson. 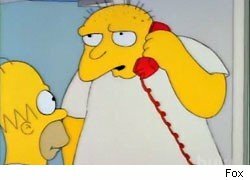 The Sunday after he died, Fox ran the famous Simpson’s episode, where Homer is admitted to an insane asylum and meets a guy who claims to be Michael Jackson (and he clearly is not the King of Pop). It’s a really good episode, if you are a fan of the show or not. If you recall the episode, the voice of the Jackson impostor sounded amazingly like Michael. Yet, when the credits rolled, there was no mention of him as the voice. There were rumors it was him, but it was never really confirmed. Michael Jackson guest stars as Leon Kompowsky’s speaking voice, while his singing is provided by Kipp Lennon. For contractual reasons, Jackson was credited as John Jay Smith, and his role in the episode was not officially confirmed until later. Kompowsky was originally set to return in a second episode, except voiced by Prince, but the episode was never produced. That’s about it for a slow Friday (obviously). ENJOY your weekend, and as always, GO COUGS! Some news broke yesterday on the WSU roster, updated prior to next month’s fall practice. The news? Some names you might have expected to be on the roster are missing. Grippi has a good read on the situation, including some quotes from Coach Wulff, so check it out. While all the names are disappointing, I think the loss of Devin Giles might hurt the most on the field. Projected by some to start at corner this year, even though he missed spring ball due to academics and was a reserve for most of ’08, he did start 12 games in ’07. The senior-to-be was one guy with at least some starting experience in the PAC-10. And for those of you scoring at home, the corner position has been hit hard this off-season. Romeo Pellum, who started 12 games last year, is no longer in the program. Others in some hot water include Tyrone Justin (now known as Aire, per Grippi? ), Tyree Toomer, and LeAndre Daniels. Glancing at the spring depth chart, you wonder how the corner position is going to look once things get going next month. Devin Giles was actually listed as the starter at left corner, but that’s out the window now. Brandon Jones, the Cal transfer who sat out ’08, might elevate to the starting spot. 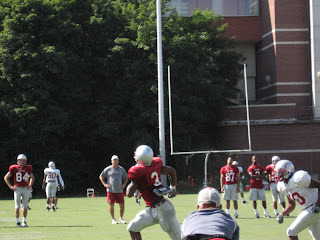 Jones was singled out by coach Wulff during spring as a player who was performing quite well. Jones was technically listed at #2 behind Giles this spring, so it’s easy to see him as the starter now. We’ll look at the secondary in the coming days, but overall? Things seem awfully thin back there. Michael Willis is officially gone as well. Not disappointed there, just a little sad that it never worked out for him. Willis had a long journey to Pullman (just check out all the stories on him from Scout.com, dating all the way back to 2003!). Willis also saw multiple position changes, from safety to corner to WR and back again. Excellent size, outstanding athleticism, and always regarded as a seriously hard hitter, it’s all over for him now. However, per the Grippi article, it appears that Willis is still in school and on track to graduate. So at least he’ll get a degree when it’s all said and done. 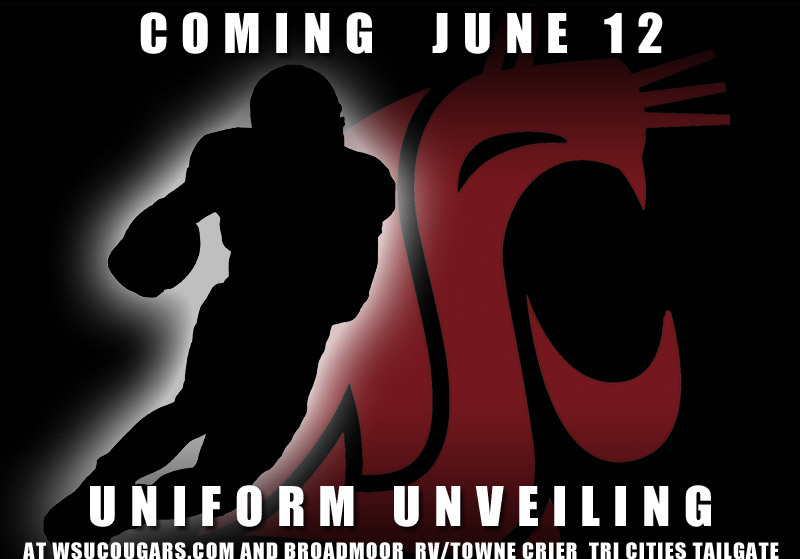 Meanwhile, Cougfan.com broke the news that there are four incoming recruits who will delay enrollment until January 2010, with the famous “gray shirt” path to Pullman. Offensive guard Quayshawne Buckley, safety Osi Hosea, defensive end Chris Mastin, and linebacker Terrell Thompson will all miss the ’09 season. Here’s hoping they get their academics in order and we see them early next year. Finally, it doesn’t have anything to do with football, but Cougcenter has been blowing up with summer basketball updates. Looks like Klay Thompson’s Team USA won the gold today. Cool. If you are interested, check it out. That’s it for today. GO COUGS! Trekkies Bash Star Trek as "Fun, Watchable"
Despite the geeks hating on this one, we ventured out and saw this summer blockbuster for a Mother’s Day matinee treat. And let me say, it was as good as advertised. Pretty good story, lots of excitement, funny dialog, and a really strong cast. The guy playing Captain Kirk was great, and the Spock character was pretty good too. And the special effects?? WOW. Just wow. The line between special effects and reality continue to blur, and this one was about as perfect as it gets on the big screen. It was pretty much everything you want in a summer popcorn movie. And oh yeah, I HATED Star Trek as a kid….although my Mom says I used to wear a gold Starfleet uniform and pretend to be James Tiberius….but whatever. I seem to have successfully suppressed that memory? While nothing is officially out there, some unconfirmed rumors say that they look pretty nice. Clean and sharp are two things we’ve heard. Oh, and Cougfan? They LOVE the idea of having the uni’s unveiled in Pasco. Absolutely, positively LOVE it…. Meanwhile, Baba Booey’s first pitch. You’ve all seen it by now, right? We have a new contender for “worst first pitches ever“. Just awful. What’s funny about it is that Gary was talking on the Howard Stern show for the last few weeks about how hard he was working to get ready for the big moment. Throwing a lot of pitches every day, even talking to a sports psychologist. And BaBa-Booey? He Ba-Ba-BLEW IT. I mean when the umpire standing five+ feet from home plate catches the pitch, you know it’s bad. Now it also must be said that the whole thing was done for charity. He was serving as a host for autism awareness day at Citi Field, and that led to the whole first pitch thing. 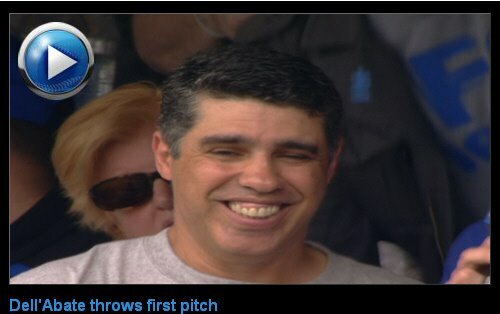 The link to the MLB.com story has details, as well as a much higher quality video with an interview with him. So sure, we laugh, but all in good fun. Romeo Pellum was WSU’s top cornerback as a sophomore last season, but the Cougars’ defense ranked among the worst in school history. Pellum led WSU with six pass breakups, tied for first with two interceptions, ranked second with 51 unassisted tackles and came in third in total tackles with 65. The article speculates that Brandon Jones, the Cal transfer, will get first crack at Pellum’s spot. We’ll see how it goes in the spring, but losing Pellum is disappointing. But rules are rules, and Pellum had a few issues. Good luck to him, wherever he ends up. That’s it for a light Wednesday. Stay tuned for more fish wraps, coming soon. 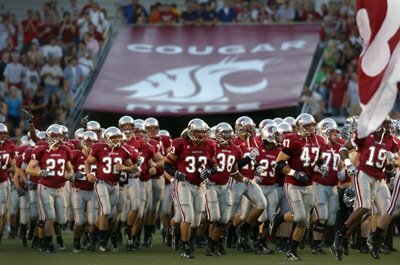 As always, GO COUGS! You are currently browsing the archives for the Romeo Pellum category.